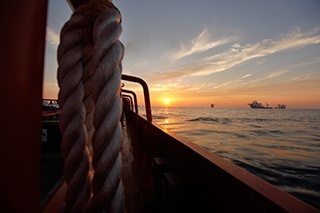 Vessels involved in the containment effort are seen at the site of the Deepwater Horizon oil spill in the Gulf of Mexico, off the coast of Louisiana, May 11, 2010. As many of you know, our firm is committed to holding BP responsible for the economic damage it caused to the Gulf region. Since October of 2010, our firm has represented hundreds of businesses and individuals in claims against BP and has successfully recovered millions of dollars for those clients. Until recently, our firm was pleased with the cooperation between all parties to this litigation to provide fair and reasonable settlements to affected clients. However, over the past few months BP has set in motion a calculated public relations campaign intended to slow the flow of payments from the Gulf oil spill settlement program. As part of this campaign, BP challenged the methodology for determining payment which has significantly slowed the claims review and payment process. The overseeing federal judge reviewed the challenged methodology and determined that BP’s argument had merit and ordered limited changes to the settlement process. The judge ordered that businesses who submit claims to the settlement program must have profit and loss statements with accurately matched revenues and expenses. To that end, the settlement program’s accountants will begin reviewing all filed claims to determine whether revenue and expense matching issues are present. If the settlement program determines a claimant’s revenue and expenses are not matched, the settlement program will be requesting further financial information to resolve the issue for the particular claimant. While we hope this review process will begin in the near future, it appears that the settlement program is still finalizing its revenue and expense matching review criteria. Our firm believes these changes principally apply to businesses who report on the cash method or the completed contract method of accounting. However, we feel that the overwhelming majority of our clients—even those who report on the cash and completed contract method—will not be significantly affected by these changes. In any event, we will notify clients when the final revenue and expense matching review criteria has been announced by the settlement program. For additional information please contact our firm.